When I first came across this recipe, it was in some kind of Russian and I was sad because it was so beautiful. Then I got my lovely Ruska friend to help me translate and I was so so happy! Here it is in English for your baking pleasure. 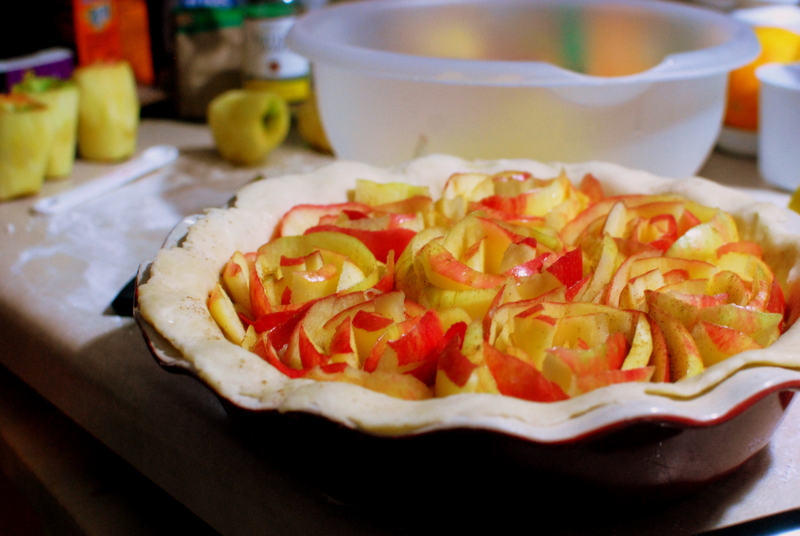 Arrange peels into rose shapes and place in the cooled cream until the pie is covered with lovely roses! I know it looks too pretty to eat, but go stuff your face! enjoy!! original link: http://yoli-www.blogspot.com/2011/10/blog-post_18.html **check out the pics! gorgeous! 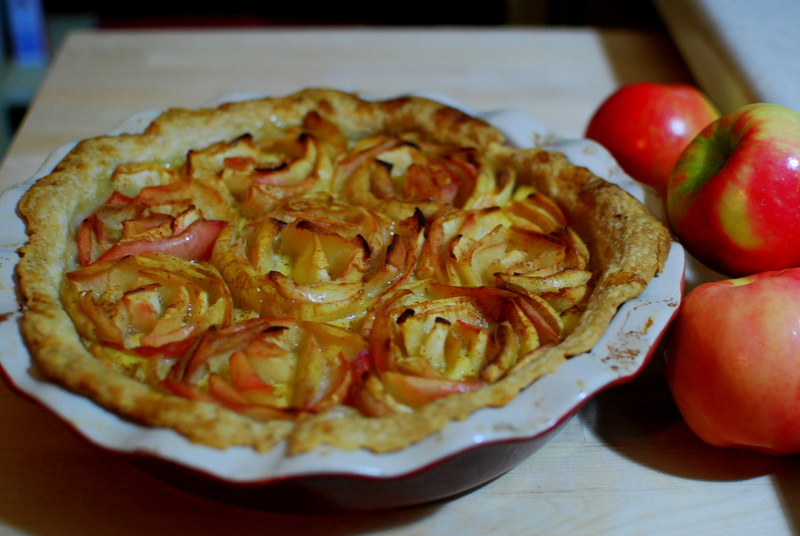 Posted in Pies, Uncategorized and tagged apple, apple cream pie, pie, roses, wine. Bookmark the permalink.